for events of all kinds, catering for up to 150 guests for seated dinners and up to 200 for cocktails. Fairytale weddings are a reality here. 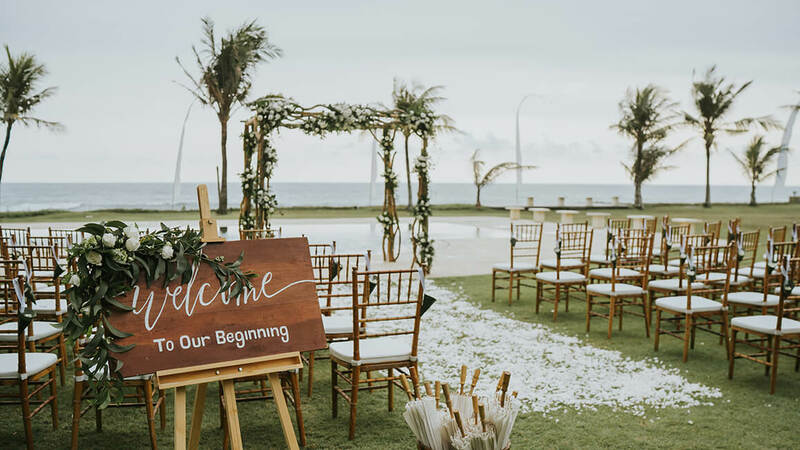 The manicured lawns provide a romantic setting for wedding vows and moonlit dinners to the serenade of surf and scent of frangipani, the large open-sided garden pavilion transforms into a ballroom, and the private estate matches intimacy with exclusivity.